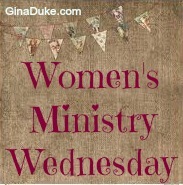 Women’s Ministry Wednesday – Be the Leader Jesus Wants You to Be! I just wanted to share a quick thought with you today about leadership. As I was questioning my ability to be a leader the other day – a day among many days of doubt lately – I had an epiphany! My struggle has been that I’ve been thinking about leadership as the world sees leadership, and in those terms I have not felt that I’ve been measuring up. But, then God reminded me of something wonderful. He does not look at leadership the way corporate America does. His leadership style is one of servant leadership. 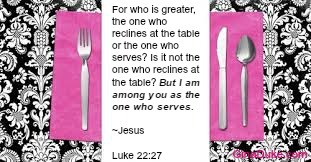 This is a game-changer – I may not be that great of leader, but I can be a terrific server! Making this paradigm shift has already resolved some issues that I thought I had. It resolves them because it will completely change my approach to my current challenges in leading. Does reframing your leadership style into one of servant leader resolve some of your current challenges?